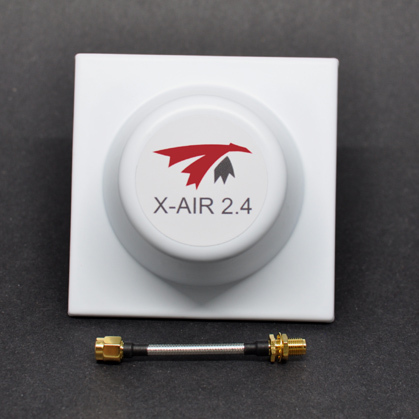 The X-AIR 2.4 is a next generation crosshair antenna. SKU: N/A. Availability: In stock Category: 2.4GHz. The X-AIR 2.4 is a next generation crosshair antenna. Wide coverage and high axial ratio make it perfect for far off venture without antenna aiming adjustment.